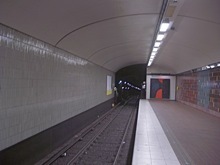 METRO is a Swedish research project about infrastructure protection. The focus of the project is on the protection of underground rail mass transport systems, such as tunnels and subway stations. 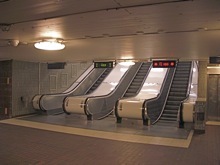 Both fire and explosion hazards are studied, and such aspects as evacuation, rescue operations and smoke control are important parts of the project. METRO is an multidisciplinary project where researchers from different disciplines cooperate with practitioners with the common goal to make underground rail mass transport systems safer in the future. Because the project involves everything from human behaviour during evacuation to fire and explosion tests and simulations, it can provide exhaustive knowledge about fire and explosion hazards. Rescue operations are also included in METRO, which means that both the safety of the public and rescue personnel is considered in the project. 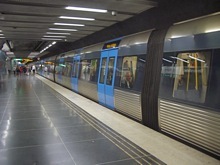 Because the project is closely linked to practitioners, such as Stockholm Public Transport (SL), the research results will be directly applied and tested in real underground rail mass transport systems, namely the Stockholm Metro. METRO is a three year project. It was started 15 December 2009 and will finish on 15 December 2012. The total budget is 14.1 million SEK, which corresponds to approximately 1.4 million Euro. A total of nine partners take part in the project. 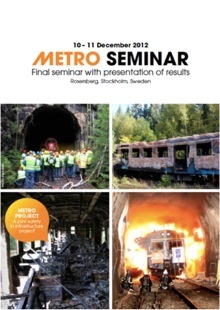 METRO is funded by five organisations, namely Stockholm Public Transport (SL), Swedish Civil Contingencies Agency (MSB), the Swedish Transport Administration , the Swedish Fortifications Agency, and the Swedish Fire Research Board. On this web page you can find information about METRO by choosing an item in the menu at the top of the page. The web page is the project’s main communication channel and on it you will find all the publications that are produced in METRO. You can find these publications by choosing Publications in the menu.